The Honda S2000 was first shown as a concept car at the Tokyo Motor Show in 1995, with the production version being launched in April 1999 to celebrate the company's 50th anniversary. The S2000 is named for its engine displacement of 2 litres, carrying on in the tradition of the S500, S600, and S800 roadsters of the 1960s. In 2004 Honda facelifted the S2000, the new model introduced 17" wheels and Bridgestone RE-050 tyres along with a retuned suspension to reduce oversteer. The spring rates and shock absorber damping were altered and the suspension geometry was modified to improve stability by reducing toe-in changes under cornering loads. The subframe also received a revision in design to achieve high rigidity. In the gearbox the brass synchronizers were replaced with carbon fibre. In addition, cosmetic changes were made to the exterior with new front and rear bumpers, revised headlight assemblies, new LED tail-lights, and oval-tipped exhaust pipes. The facelift model retained the same 2.0 Litre engine from the original model that would produce 237 BHP and accelerate from 0-60 in just 6.2 seconds with a Top Speed of 150 MPH. 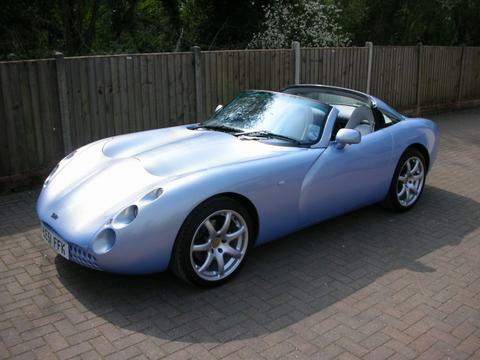 As a whole this punchy compact sports car that will rev for days has now entered into the modern classic status with its naturally aspirated engine, superb performance figures and cult following, with prospective buyers only wanting the very best in low miles, low owners and a strong maintenance trace. Our example was first registered in July 2009 only a month before production of the S2000 ceased. Since this date our car has had just the One Private Owner, whilst completing only 26519 miles. Despite covering minimal miles over the last 10 years our car has service's logged at 4532, 9172, 17305, 20400, 23713 & 25630 miles. Once sold the car will be presented for with the full key set to include both fobs and keys, original service book, the owners manual book pack and factory hard-top so it can be enjoyed whatever the weather. The interior of the S2000 is designed with the driver in mind, the driving position perfect for involvement with all elements of the drive to make every journey feel that little bit special, controls easily accessible to make everything simpler. From factory our example was opted with the Black Leather Sport Seats with Red Stitch Detailing, Black Carpets, The Black Textured Dash & Door Cards that wrap around the interior space, Leather Bound Honda Steering Wheel, The Brushed Aluminium Design Radio Cover with S2000 Central On It, The Climate Control And Volume controls situated either side of the Steering Wheel. The Interior is finished with the Digital Speedometer display and the bright Red Engine Start button. 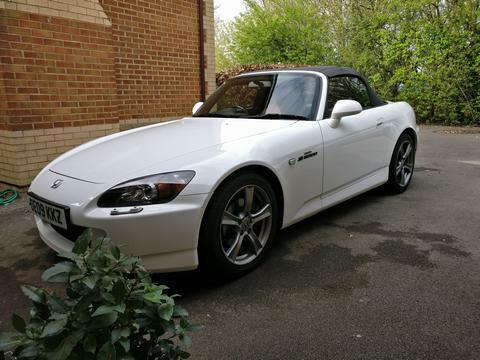 The Compact exterior of the Honda S2000 GT is presented in Silverstone Metallic which looks stunning with the hard-top roof in place or alternatively having the fabric black roof up or down, offering an option for all the seasons. Further exterior details come in the form of the Silver Finished 5-Spoke GT Alloy Wheels, Front Bumper Air Intake, Colour Coded Mirrors, Xenon Headlights with Wash Function, Rear Lipped Brake Light, Black Hard Top Window Trim, Chrome Finished Twin Oval Exhaust Tips, Front Wing S2000 Motifs in Chrome, Fixed Black Radio Aerial. A classic design that is destined to stand the test of time.